Soldiers of the Hanseatic League, 15th Century. Map of the Hanseatic League, showing principal Hanseatic cities. The Hanseatic League, originally an ad hoc association of traveling merchants, had since the thirteenth century developed into a mighty alliance of cities, which for about 300 years largely controlled trade, shipping, and politics in the North Sea and Baltic regions. The Old High German word Hanse meant “crowd” or “community,” and in the twelfth century it designated a cooperative association of long-distance traders who mostly came from the same region or town. Many local Hanse associations existed before the German Hanseatic League of the thirteenth century made its first appearance on the political stage. Merchants from Cologne who operated a branch in London were the first to join together as an association. Their London branch, the Guildhall, and the goods they traded in, were granted a special privilege by the king in 1175. But perhaps more important for the history of the Hanseatic League were the processes that began to play themselves out in the Baltic region during the twelfth and thirteenth centuries. These included the founding of Lübeck and many other cities in the Baltic region as Germans settled there and the founding of the Gotlandfahrergenossenschaft (German company of merchants traveling to Gotland). The founding of Lübeck (1143–1159) provided German long-distance Baltic traders with a headquarters and enabled more local merchants from Lower Saxony and Westphalia to access markets in the Baltic region and Russia without having to trade through Scandinavian or Slavic middlemen. For many years, for example, the farmer-merchants on the island of Gotland had dominated trade with Russia. Lübeck, and the advantages it provided for German long-distance traders, represented a real challenge to the Gotlanders. 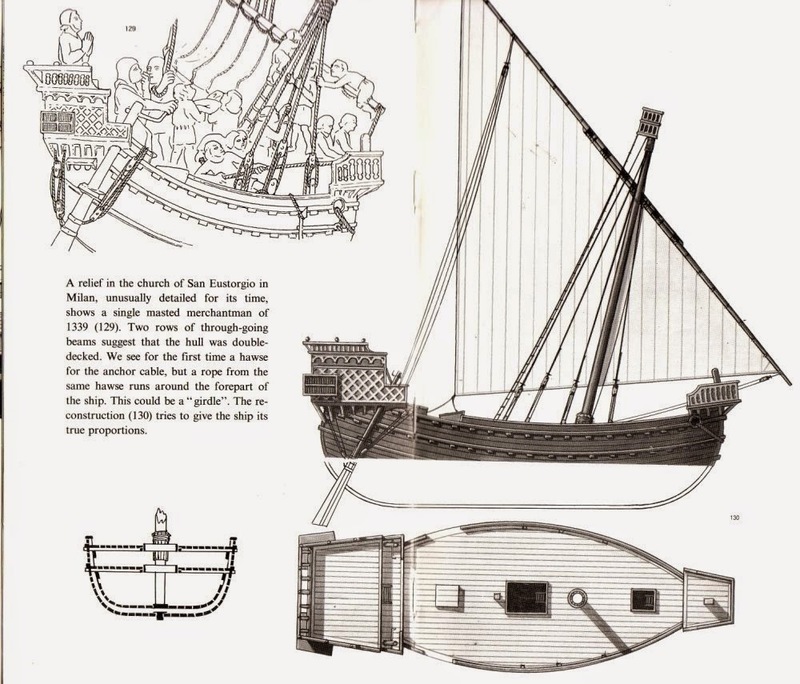 The German merchants were better financed, better trained in the techniques of trade, and better organized, and they possessed a boat—the cog—with a larger carrying capacity than the Gotlanders had at their disposal. In 1161, Duke Henry the Lion permitted the Gotlanders to trade in his Saxon domain under the condition that German merchants be granted the same privilege on Gotland. This greatly stimulated German trade on the island. A document from 1252, a privilege granted by Countess Margaret of Flanders (died 1285), contains the first mention of a Gotland Travelers Association (“universi mercatores romani imperii gotlandiam frequentantes”). It acknowledged visitations by an association of merchants from the “Roman Empire” on Gotland that pursued trade both in the east and in the west and that increasingly used its branch in Visby to gain a foothold in the Novgorod market. Like the Gotlanders before them, they erected a trading center in Novgorod, the Peterhof, which became the Kontor (trading outpost) for the developing Hanseatic trade with Russia. Because of its enormous hinterland, which extended all the way to the White Sea, Novgorod became the center of the pelt trade. Trade with Novgorod was controlled from Visby, on Gotland, and this was where the surplus money was brought at the conclusion of the trading season. However, since the late thirteenth century, Lübeck had begun to vie for control of the Russian trade, and with the support of other cities it successfully argued that legal disputes in Novgorod could be appealed both in Visby and in Lübeck. With that right, Lübeck’s future role as “protector” of the Russia trade was more or less preordained. A major contributor to their subsequent success was the Lübeck law with its attendant rights that served as the inspiration for other cities. Riga, for example, which had been founded in 1201 at the mouth of the Daugava by a former canon from Bremen, became a long-distance port serving Lübeck. Riga was joined in the thirteenth century by a string of trading cities along the southern Baltic coast, arrayed like pearl necklace: Wismar, Rostock, Stralsund, Greifswald, Elbing, Königsberg, and Reval. German traders had also settled in the Scandinavian kingdoms. In Denmark, schools of herring off the coast of Scania lured German traders; the same was true for southern Sweden, where German traders and artisans became commonplace in the cities, especially in Lödöse, Kalmar, and Stockholm. German miners could be found throughout the iron and copper mining districts as well. Norway was another important trading partner because it was dependent on grain imports to feed its population. Merchants from Lübeck supplied this commodity in exchange for dried cod (stockfish), which was caught in Norwegian waters and dried on wooden racks. The most important trading center was Bergen, where another Hanseatic Kontor was erected, the so-called German Bridge (Deutsche Brücke). From here the Lübeckers controlled trade with the Scandinavian kingdoms. But Russia, Scandinavia, and the adjacent areas along the Baltic were not the only centers of German trade. At first, with Cologne taking the lead, they also traded with England and then Flanders. After the special privilege of 1175, the 1303 “Carta mercatoria” of Edward I promised foreign merchants, among other things, an exemption from all levies, settlement rights, legal protection from encroachment by royal officials, and the renunciation of new levies in the future—in exchange for an increase in tariffs. This last provision, the renunciation of new levies, would turn out to be the core of the privilege. 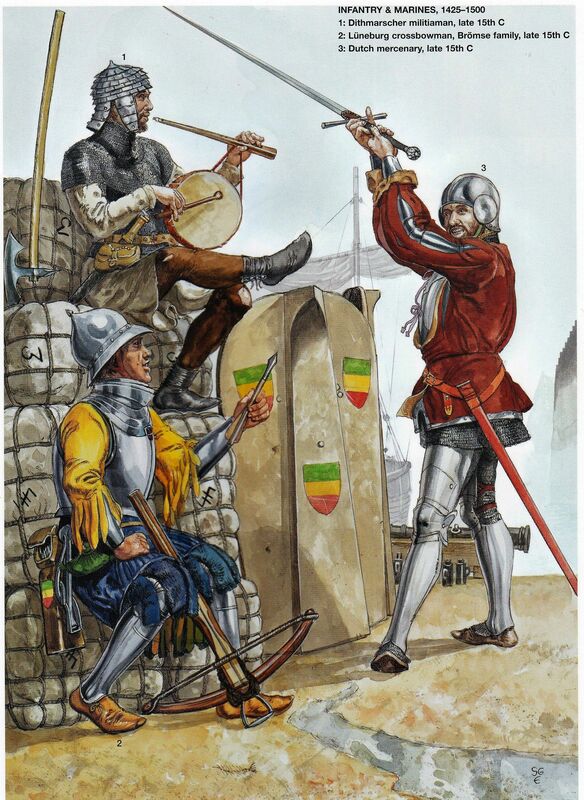 When Edward III placed a duty on cloth exports in 1337 to finance the Hundred Years’ War, the Hanseatic League successfully gained exemption from this levy by arguing the “Carta mercatoria.” English merchants and other foreigners were forced to pay. With that exemption, the “Carta mercatoria,” which originally applied to all foreigners trading in England, became a privilege of the Hanseatic League alone. They used the Guildhall as their Kontor and then built up the adjacent Steelyard grounds for the purpose of further exploiting their privilege. The final, and in fact most important, trade region in which German merchants were active was Flanders, where high-quality textiles were produced in large quantities. At first, the German merchants acquired these textiles at markets in Champagne and later primarily in Bruges, which because of its central location developed into the most important commodity market in western Europe. In 1252, Countess Margaret privileged the German merchants by granting them relief from customs duties. One year later, they were exempted from trial by combat, liability for the debts and transgressions of others, and from strand law and other encumbrances, which greatly bolstered the legal underpinnings of their trade. Nonetheless, conflicts between the city of Bruges and the German merchants were frequent, largely for reasons of restraint of trade. In 1280–1282, the merchants reacted by moving temporarily to the neighboring city of Aardenburg, as a result of which Bruges reaffirmed its privileges. Then in 1347, the German merchants devised a Kontor system of their own, which was supposed to consolidate their interests vis-à-vis the city of Bruges and the Duchy of Flanders. They did this because trade with Flanders was a matter of life and death to them; this was where they acquired the textiles that they then sold in the markets of Germany, the Baltic region, and Russia. To successfully counter further infringements on their privileges in Flanders, in 1356 they placed the hitherto independent Bruges Kontor under the authority of an umbrella institution, the Hanseatic Diet, which was usually but not always held in Lübeck. From then on, the Hanseatic Diet, representing the “cities of the Hanseatic League” (first mentioned in 1358), and not the Hanseatic merchants at the various trading outposts, determined trade policy. It soon became clear that the Hanseatic League as a whole was more adroit and powerful in pressing its interests than were the groups of Hanseatic merchants, each pursuing its own special interests in its foreign trading centers. The creation of the Hanseatic Diet representing all of the Hanseatic cities marked the end of a process that had begun in the thirteenth century, when the cities began to exert an ever-increasing influence on the cooperative associations of their merchants abroad. The cities had supported them in acquiring privileges, created the necessary legal structure for their trade, and granted them legal protection. From now on, the cities of the North Sea and Baltic region that were represented in the Hanseatic League would control trade and trade policies in this region. The representatives of these cities gathered as needed in the Hanseatic Diet, which made all of the important decisions. As a result, Lübeck became the de facto capital of the Hanseatic League. New challenges in the Baltic region began to confront the Hanseatic League during the second half of the fourteenth century, which forced the new confederation of cities to prove its mettle. In 1360, King Valdemar IV (ca. 1320–1375) began to pursue a policy of Danish hegemony in the Baltic Sea and conquered not just Scania, which it had earlier lost to Sweden, but Gotland as well. Denmark raised duties and other levies for Hanseatic merchants, encumbering trade with Scania, which represented a casus belli for Lübeck and the eastern Hanseatic cities. After the Hanseatic League suffered an initial defeat at sea, Denmark made life difficult for the Hanseatic cities of the Zuiderzee and cut off passage through the Øresund to the Dutch cities that were loosely associated with the league. These actions struck a vital nerve. As a result, all of the Hanseatic cities from the lower Rhine to Reval joined forces with the cities on the Zuiderzee in the Confederation of Cologne. In concert, they militarily restored their privileges in the Treaty of Stralsund (1370), especially the right of unimpeded access to Denmark by land and by sea. They also received reparations stemming from the war. The Treaty of Stralsund marked the apex of power of the Hanseatic League; the supremacy of the Hanseatic cities in the Baltic trade was now uncontested. However, it remained a community of interest exclusively for merchants, who used political and military means to secure only their trading privileges. Hanseatic trade proceeded from east to west along a line dotted with their trading centers in Novgorod, Reval, Riga, Visby, Danzig, Stralsund, Lübeck, Hamburg, Bruges, and London, and its existence was based on the trade between the suppliers of foodstuffs and raw materials in northern and eastern Europe and the commercial producers of finished products in northwestern Europe. The merchants, however, went well beyond their function as middlemen between east and west, first by trading in the products manufactured by the Hanseatic cities themselves and then by penetrating deep into the Baltic hinterlands south of the coast. As a result, not only did they open up trade with Bohemia and Silesia by way of the Elbe and Oder Rivers, they also followed the Vistula through Cracow to the copper mining districts of upper Hungary (Slovakia) and connected with trading partners in the Black Sea via Lemberg (Lviv). The regions visited by these merchants depended on local demands and production. They had a large assortment of products, both mass-produced goods for daily life and luxury products for a small, wealthy clientele. The most important products were wool, woolen and linen textiles, pelts and furs, herring and dried cod, salt, wax, grain, flax and hemp, wood and forestry products (ash, pitch, tar), and beer and wine. Pelts, wax, grain, flax, wood, and beer flowed westward, where they were exchanged for needed textiles, salt, wine, metal products, spices, and other luxury goods. 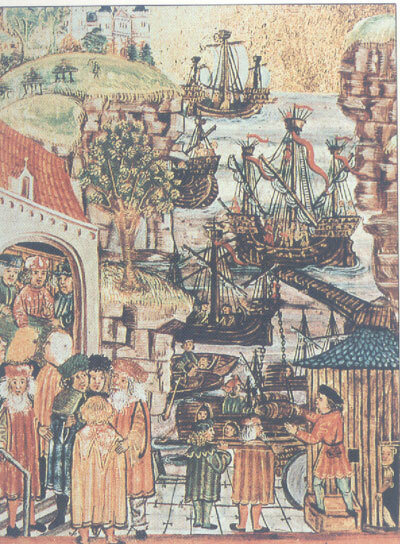 Fish was sold throughout the Hanseatic region. We may have identified two interconnected economic regions in the east—on the one hand, the Russian trade region, centered in Novgorod with its pelts and furs, and on the other the Livonian urban region around Reval, Dorpat, and Riga along with the Daugava hinterland, which supplied mainly flax and hemp. Demand for furs—from expensive sable to cheap squirrel—and wax for illumination, was heavy throughout Europe. Hemp was needed for rope and flax for linen in all ports of the Hanseatic region. In eastern Europe, Flemish textiles and sea salt were in high demand. Another trade region south of Livonia was controlled by the state of the Teutonic Order and the Prussian Hanseatic cities of Danzig, Elbing, and Thorn. They made available to Hanseatic trade the products of the Lithuanian and Polish hinterland by way of the Vistula and Memel Rivers. The Lithuanian regions contributed wax, pelts, wood, and flax; Poland produced mainly grain and timber products. 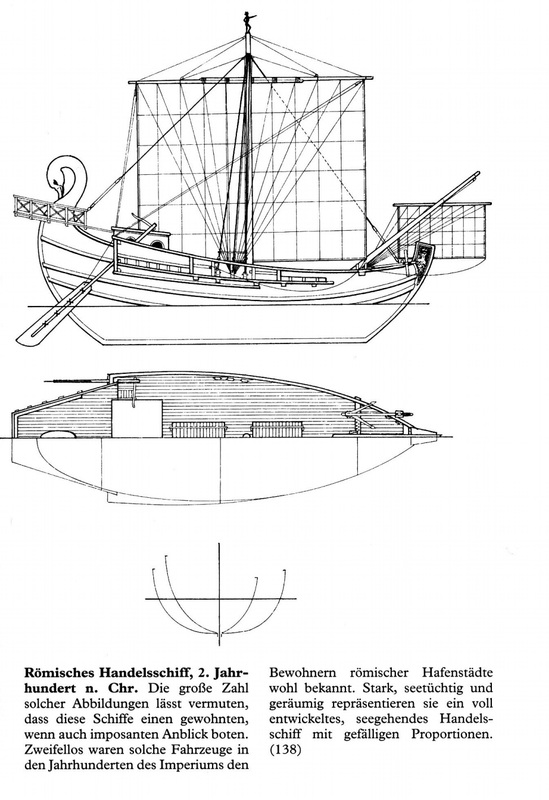 The latter supplied shipbuilders with wood for masts and planks; herring fisheries, breweries, and salt works needed wood for barrels, while numerous manufacturers were dependent on steady supplies of pitch, tar, and ash. The primary export product from the Prussian Hanseatic cities, however, was grain, which nourished the population living in the highly urbanized centers of western Europe. Not to be forgotten are luxury products like amber, which was gathered along the Sambian coast of the Baltic. The Teutonic Order had a monopoly on the amber trade, and they exported amber to Lübeck and Bruges, where amber turners worked them into luxurious rosaries. Salt, herring, and textiles were the most important Prussian imports. In the western part of the Baltic, Sweden contributed iron, copper, butter, and cattle and cowhides to the Hanseatic trade, although, with the exception of metals, Sweden stood in the shadow of Denmark. Since the fifteenth century, Denmark had become an important exporter of horses, oxen, and butter. Prior to this time, Hanseatic trade with Denmark had primarily concentrated on Scanian herring, schools of which were in the fourteenth century said to be so thick that the fish could be caught by hand. During the late fifteenth and sixteenth centuries, the decline in Baltic and North Sea herring increasingly amplified the importance of Dutch herring fishers. The other important fish supplier, Norway, which at the time belonged to Denmark, was profoundly dependent on Hanseatic imports. Hanseatic merchants supplied grain, flour, beer, malt, hops, salt, and linen, and they exported primarily dried cod and small quantities of cod liver oil, walrus tooth, skins, and other goods. When, toward the end of the fifteenth century and during the sixteenth, consumers came to prefer Icelandic dried cod, Hanseatic trade with Norway receded in importance. Trade with England, the original domain of Hanseatic merchants from the Rhineland and Westphalia, continued to be brisk. They exported Rhine wine, metals, and the dyes madder and woad to England and imported tin and English wool for the textile industry in Flanders and Brabant, and later also English textiles. The Hanseatic cities of the Baltic coast, in turn, provided wares typical of the east, including pelts, wax, grain, and wood as well as Scandinavian fish and metals. The most important market in western Europe, however, was the Netherlands. Flanders and later Brabant were not only important textile producers, they also established key trade connections with the Mediterranean basin. The Hanseatic merchants bought goods in Flemish and Brabant cities, primarily woolen textiles of high and medium quality, as well as trousers from Bruges. 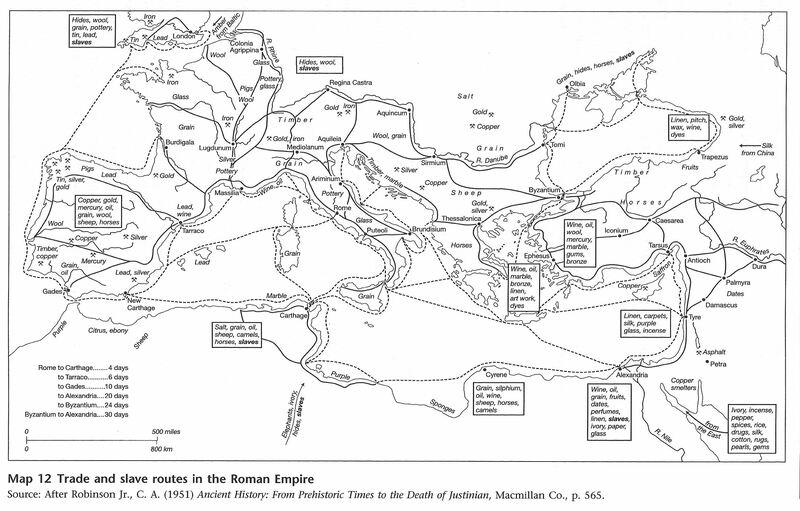 They also acquired spices, figs, and raisins from southern Europe. France contributed oil and wine as well as bay salt. This sea salt, harvested from the Atlantic, became increasingly important as a preservative. 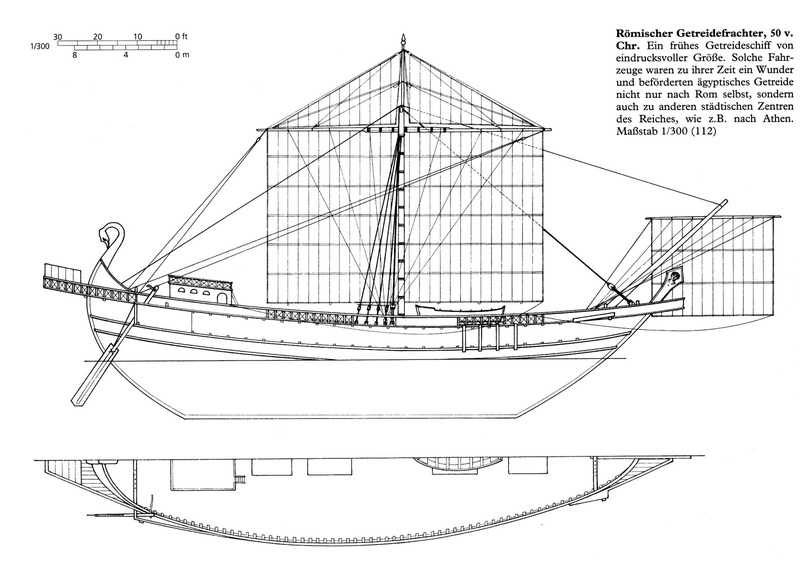 Prussian and especially Netherlandish ships made regular bay salt runs, then used it as ballast on the way to the Baltic, where they traded it for grain and wood for the western European market. By doing so, they undermined Lübeck’s monopoly as an intermediary in trade. The Hanseatic presence in southern Europe was sporadic, except for the wine trade with Bordeaux, although the Veckinchusen family did attempt to establish trade in pelts with Venice. In addition to products from distant trading partners, goods produced in Hanseatic cities played a key role in domestic as well as foreign trade. Products that flowed east included colored metallic goods from Aachen; Rhine wine; tools from the Westphalian lands of Mark, Berg, and Siegerland; ceramics from the Rhineland; Westphalian textiles and linen; brassware from Braunschweig; salt from Lüneburg; and beer from Hamburg. 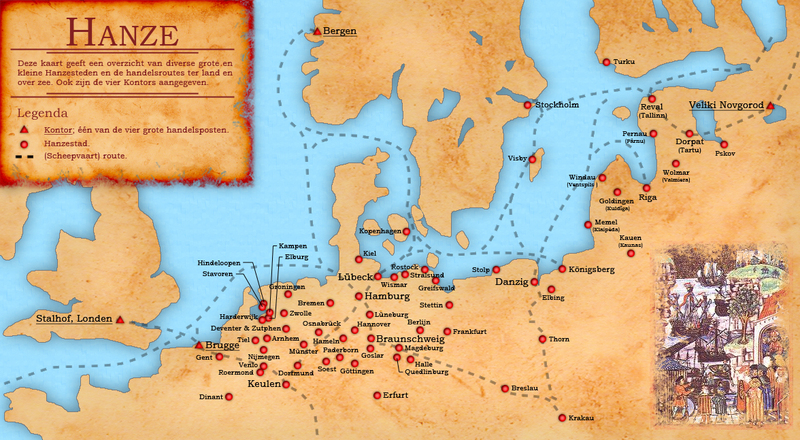 The Hanseatic trade was organized by merchant trading companies. The most common model was the free type, in which two partners invested capital and split the profits according to the capital invested and the profits realized. Such organizations generally lasted for one to two years. The large-scale international merchants were generally involved in several companies at a time. This decreased their overall risk and increased the assortment of goods in which they traded. Relatives were often brought in as partners because they were more likely to be trustworthy, especially when it came to long-distance east-west trade. Unlike in Italy or in southern Germany, large, centrally controlled trading companies extending over several generations and including a large number of participants did not exist in the Hanseatic trade. As a result, the Hanseatic companies saw no need to introduce the double bookkeeping that was standard in Italy. The four Hanseatic Kontore in Novgorod, Bergen, London, and Bruges formed a sort of higher-level trade organization. Here, German merchants lived in specially demarcated areas such as the Petershof, the German Bridge, or the walled Steelyard. Only in Bruges did Hanseatic merchants live with local hosts. Each Kontor was tightly structured, with aldermen (literally, older men) elected annually; firmly established statutes; and its own legal jurisdiction, counting house, and seal. The Kontore were important in terms of acquiring trading privileges because, with cover provided by the Hanseatic cities, they represented the interests of merchants in their dealings with the ruling elites and cities in the foreign countries in which they traded. But the Kontore also facilitated everyday trade by establishing a regular news and messenger system with their home cities, and the attendant correspondence, certification, and bookkeeping also helped them to raise credit. But above all, the reporting requirements regarding the Hanseatic merchants active in any given area encouraged a certain uniformity in the buying and selling of goods, which tended to limit competition among Hanseatic members. 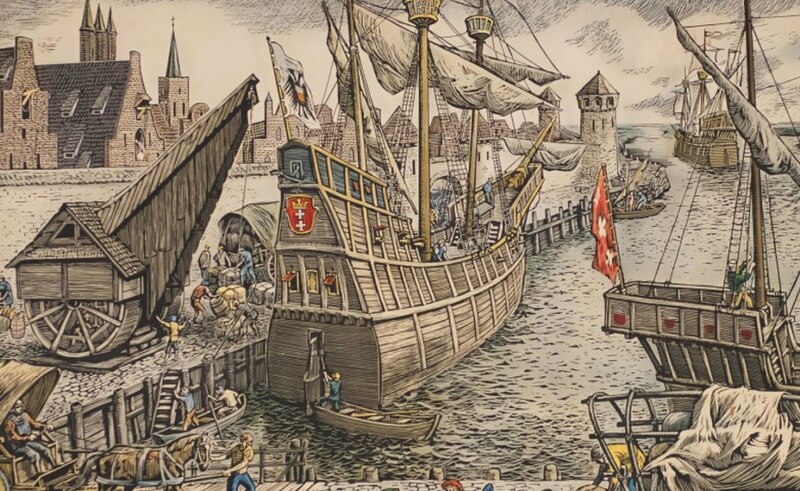 Toward the end of the fifteenth century, Hanseatic trade experienced setbacks on all fronts. The old trading system based on privileges proved inadequate in the face of growing competition and the consolidation of the European powers. For example, the Scandinavian kings now attempted to limit Hanseatic trade for the benefit of their own merchants. At the same time, these kings played the Hanseatic merchants off against their Dutch competitors. As a result, the Hanseatic cities were drawn into Scandinavian power struggles by backing privateers in hopes of retaining their privileges. The closing of the Novgorod Kontor in 1494 by Ivan III was another blow, although much of its trade had already shifted to the Livonian port cities of Riga and Reval during the fifteenth century, as a result of which these cities experienced a significant upswing. Matters were changing in England as well, where imports and exports of textiles were at the center of disputes. Internal conflicts within the Hanseatic League undoubtedly played a role, because Lübeck stubbornly demanded that England recognize its old privileges, whereas Cologne and the Prussian trading cities were ready to come to an accommodation. Be that as it may, the 1474 Treaty of Utrecht ratified an understanding with England that restored the Hanseatic privileges. As a result, Hanseatic trade in England enjoyed a final phase of prosperity up to the middle of the sixteenth century. The Dutch and the Zeelanders were locked in competition with Hanseatic cities such as Lübeck, Wismar, Rostock, Stralsund, and Greifswald because the latter saw their position as middlemen in the east-west route threatened. However, Lübeck was unable to limit Dutch access to the Baltic Sea, either by peaceful or by military means. In fact, the Prussian Hanseatic cities of Danzig, Elbing, Thorn, and Königsberg were largely dependent on Dutch freight capacity. As a result, in 1475–1476, a quarter of Danzig’s shipping relied on Dutch ships, an advantage that the Dutch continued to expand and exploit. The Bruges Kontor had de facto been located in Antwerp since 1460 because merchants attended the Brabant trade fairs there and in Bergen op Zoom. By the time the Hanseatic merchants set about building a Kontor in Antwerp, in 1563, Antwerp’s trade had already reached its zenith. Other Hanseatic cities like Hamburg and Bremen contributed to the decline of the German Bridge Kontor in Bergen by increasing their trade with Iceland and the Shetland Islands in the late fifteenth century. Signs of Hanseatic decline were rife in the sixteenth century. Historians have cited a number of causes for this decline, including the increasing vigor of the German territorial states and the Nordic kingdoms as well as overwhelming competition from southern German trading houses and the Netherlands. Nonetheless, this picture of decline contrasts markedly with the general upswing in European trade in the sixteenth century. Although the Hanseatic cities took part in this growth, a traditional trading system based on privileges proved no longer tenable. Neither Bruges, Bergen, Lübeck, nor Novgorod were the beneficiaries of this new expansion in trade, however; the future belonged to Amsterdam, Hamburg, and Danzig. Just as innovations in shipping and trade had once given the Hanseatic League an edge over the peasant-merchants from Gotland, new types of ships and the expansion of commission trade and cashless instruments of payment now overwhelmingly favored the Dutch.